How did it happen? In an article in the International Business Times, Umberto Bacchi writes that a key factor was the weather during 2015. While France suffered from a heat wave and a lack of rain, just across the Alps the Italian peninsula had great weather conditions, which resulted in a great harvest. Italy produced a total of 48.8 million hectoliters of wine,— about 1.29 billion gallons — which is 13% more than the year before. Because of weather conditions, France’s total was down 1% from the previous year, to 46.4 million hectoliters. The title “world’s top wine producer” takes into account quality as well as quantity of wine produced. In fact, Ferrari (Trentodoc), was named sparkling wine producer of the year — a prestigious award. Congratulations to the Italian wine industry for a job well done! We love wine here at Sentieri Italiani and you can share that enthusiasm at our Italian wine tasting event coming up on May 14th! 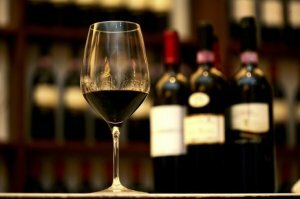 Italian-trained wine sommelier Annie Shapero of DiVino Wine Tasting is coming to Sentieri Italiani to host this Italian wine intensive session. 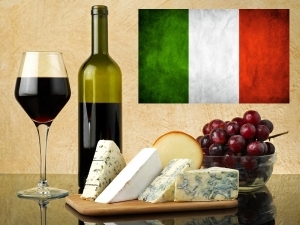 Come taste some delicious Italian wines with us this May and see why Italy is ranked Number 1. Book your spot by April 15th! « Celebrating « La Pasquetta » in Italy.